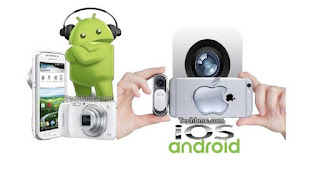 There are many third-party camera apps that can help you in exploring the earlier mentioned restriction, in this tutorial I will expose you to 12 good smartphone camera apps that can actually replace your smartphone camera app and can serve as default for your smartphone. Below are some of the most interesting camera apps from third-party, you will really like their features. Read Also: How to Freely Watch Movies Anywhere in Windows 10 PC & Android Devices with Plex App. Cymera third-party App has a very powerful beauty editing app that offers hundreds of ways to beautify your photos. With this camera app you can take photos and apply filters and stickers in real-time. It has hundreds of filters, stickers, beauty enhancers and more. You can individually retouch body parts to make your photos perfectly fits your taste. This is a third-party app which grant you access to create GIFs of everything you record with your phone. Notably This app breaks down recorded GIFs per frame and lets you take full control over how you want your GIF to appear to suite your taste. This app also enables you to create GIFs from your still photos with reliable customization options. I know as GIF lover, you will definitely like its daily dose of fun GIFs from different sources. Camera ZOOM FX has some wonderful features which will enable you to have access to some advanced option and customization capabilities. This App has some features that you will really love which includes RAW capture support, DSLR controls, amazing burst mode (30 shots/sec), voice-activated mode, tilt-control, HDR mode and much more. It also has other features which includes the ability to combine different modes, built-in photo stabilizer, selfie flash and much more. BestMe Selfie Camera App is a must-have app for any selfie enthusiast. BestMe Selfie Camera has over a hundred filters and stickers that can be applied in real-time as your selfie features. Most importantly you can create grid photos, real-time collages, add a smart blur effect, use the smart timer, vignette and more. With this third-party App known as BestMe, it is very easy to share your selfie on popular social networking sites. This third-party App known as Camera FV-5 is mostly been explore by advanced users that actually require full control over snaps. It grants you access to take RAW photos, manually control ISO/focus/white balance/exposure, control shutter speed, choose multiple focus types and more. With its long exposure feature you can also take some beautiful photos at night or in areas with low-light problems. Mega ZOOM Camera, gives you access to possibly have the maximum possible zoom level of your phone’s hardware. Nevertheless, if your hardware allows, it can even offer up to 80x zoom. Notwithstanding the maximum zoom doesn’t give you the best picture quality always, but it can be great for using as binoculars or even taking a picture of something far when quality doesn’t really matter to you. From the previous app listed you will note that there is an app that focuses mostly on photo editing and beauty tools, but Camera360 has some handy animation features and a big community that makes it worth to give a trial. With this app you can apply animated effects to your photos and makes them cool short videos and also share and discover photos/videos with your friends and well-wishers. Not quite different from other App mentioned in this post, it has reliable beauty tools, including multiple automatic beauty modes, filters, separate body parts editing tools and manual effect manager tools. This is a third camera app with some advanced features letting you create animated GIFs, record slow motion videos, manually adjust focus and exposure, control shutter speed, take RAW photos and view photo histogram. It has a very easy interface which makes It easy to be customizable and attractive as well to the eye. With this app you can take cool selfie, what I really liked about this app is the multi-face detection feature which makes it to apply changes to all individual appearance in photos. It also came with the feature of body beautifying tools, ability to add makeup, change expressions and create collages with its smart collage creator. In addition, you can also remove unwanted objects from your picture using its automatic object remover feature. This is basically for IOS users which this app gives you DSLR-like manual controls with amazing photo and video quality. You can also use it to shoot HD and 4k videos with up to 240fps support, and you can capture RAW photos. This app does come with dozens of filters and effects that can be further customized for the best exploration. It may interest you that it has a vividHDR and LowLight Plus feature that comes as in-app purchase and offer better quality than your device’s built-in camera app feature. One of the alternative to your mobile phone camera which can also serve as default camera is the Cameringo+ Filters Camera App which has over 300 live filters to take vivid photos and a bunch of lenses for extra creativity. With this app you can create GIFs, take HDR photos, record slow motion videos and it also let you draw while recording and lots more. Nevertheless, it has DSLR controls for best customization, and its virtual selfie flash is a pleasurable and handy feature as well.